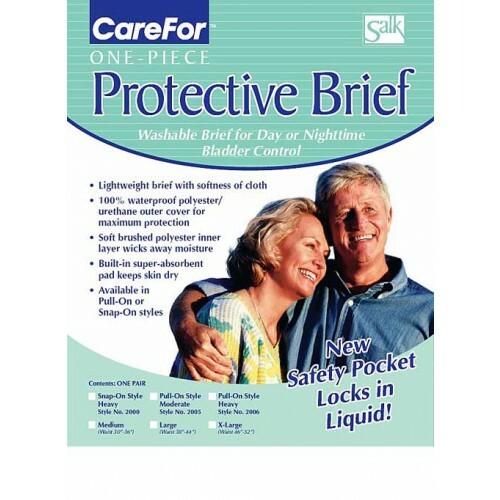 Salk CareFor™ One Piece Snap-on Brief with Water-proof Safety Pocket Medium 30" to 36" Waist Size, White, Reusable, Latex-free The Salk CareFor™ Snap-On Heavy Bladder Control Brief offers heavy incontinence protection with the ease of snap-on closures. This washable, one piece bladder control system features a newly designed waterproof safety pocket and multilayer soaker for effective bladder control. 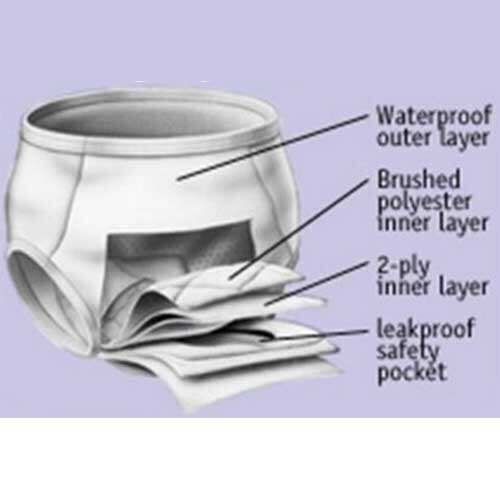 CareFor™ Snap-On Underpants' integrated absorbent layers require no pads. These layers, combined with the soft, brushed polyester material, keeps your secret by protecting against leaks while helping to reduce rashes and odors. CareFor™ incontinence underwear is made of the highest quality materials and construction that will withstand more than 200 washings. Reusable Brushed Polyester Brief with newly designed, waterproof safety pocket. Keeps liquids locked into a multilayer soaker. 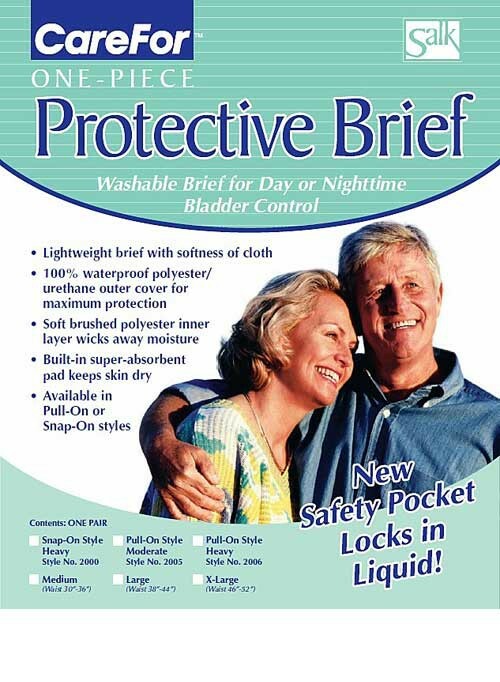 For men and women with heavy incontinence. 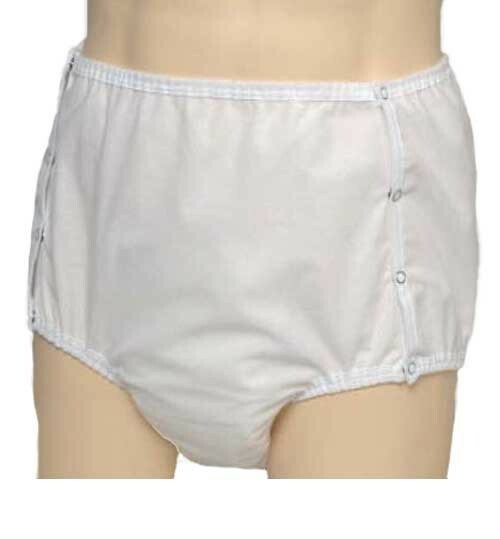 Snap-on, all-in-one brief with moderate to heavy absorbency. Wicks away moisture to keep skin dry. Prevents chafing and will not restrict circulation.